There are few experiences as exciting as shopping for then driving home in a new car, but you’ll only get the maximum enjoyment out of it if you go through a dealership that provides total satisfaction. 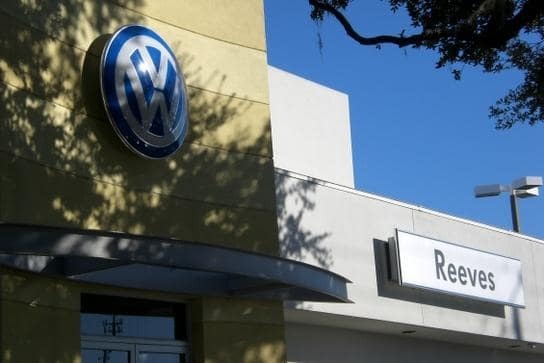 So how can you determine which is the leader out of the VW dealers in Tampa? Here are a few signs of true Volkswagen dealership excellence. The leader among Tampa VW dealers will provide the largest inventory. This ensures that you will have plenty of options to compare and contrast, allowing you to find the ideal ride for your needs. Look for a dealership that offers all models and trims, in a range of years and color options. With every new release, Volkswagen vehicles offer more and more tech and innovation. If you’re going to navigate all of it you need a dealership that offers the utmost in expertise. That means finding a dealer with a highly experienced, trained staff capable of answering all your questions. Your relationship with your dealership doesn’t end at the sale. You need a Tampa Volkswagen dealer that will provide fast, convenient, reliable service anytime the need for maintenance or repairs arises. You should enjoy your shopping and ownership experience every step of the way. That means you should always be met with a friendly, helpful staff that is committed to ensuring you feel great about your purchase. At Reeves Volkswagen, delivering on all of these points is part of our daily routine. We’re known for offering the most expansive selection in Tampa. Our staff has been carefully chosen for its expertise, and ongoing training is core to our operation to ensure that we can keep you informed about the latest VW developments. Our service team provides unrivaled expertise and efficiency, so that you can get back on the road fast with peace of mind. And every step of the way you’ll be met with friendly service with a smile. We want you to love the process of choosing your next car. And that’s exactly what we ensure. Check out our new VW selection online, or call Reeves Volkswagen at (855) 248-4512 today.